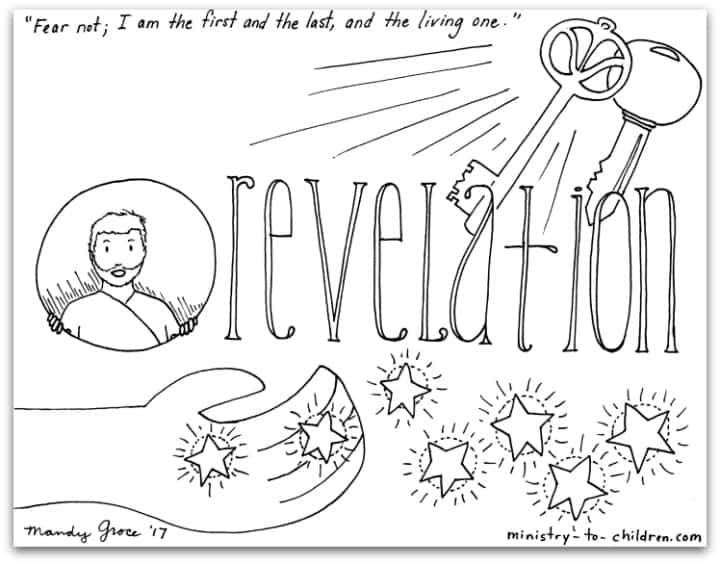 This free coloring page is based on the Book of Revelation. It’s one part of our series of illustrations for each individual book of the Bible. The illustration captures the theme from Revelation. This is the final book in the series, we are still working on a proper index page. but you can see the progress on this page. You can use our advanced search page powered by Googled. Just enter “coloring page” and “book name” that you want.